Dr. Moses demonstrates process of testing. 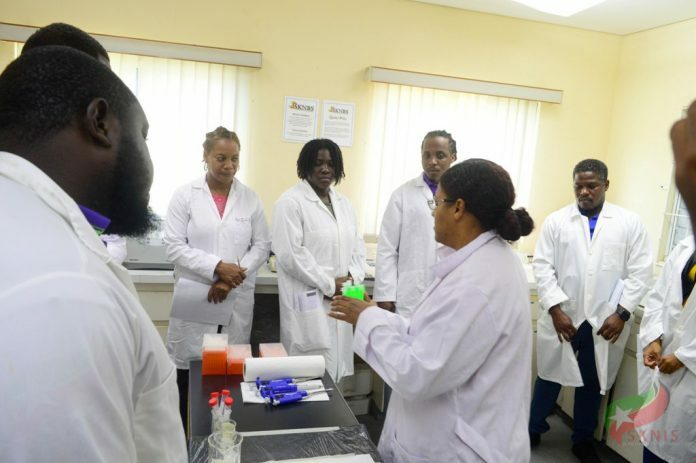 Basseterre, St. Kitts — Lab technicians and personnel in agriculture, environmental health and environment fields recently participated in a workshop aimed at developing the capacity of key personnel in St. Kitts and Nevis in the area of sampling and testing of genetically modified organisms (GMOs) products. Dr. Marissa Moses, Consultant with Genetixs out of Trinidad and Tobago, is presently in the Federation facilitating the workshop. She said the training is important to build skill and capacity in the area of detection of genetically modified events.